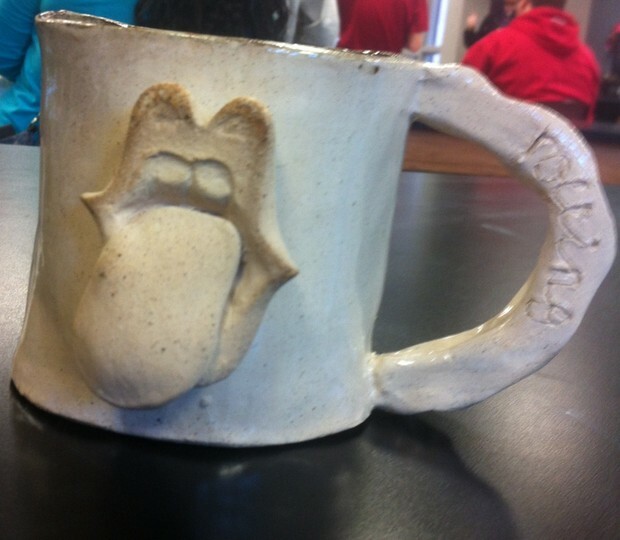 I made this mug the way I did because I am a fan of the Rolling Stones. I thought the idea was creative and fun. I made the mouth 3D because i didnt want it to be boring. I would say it is more energetic. 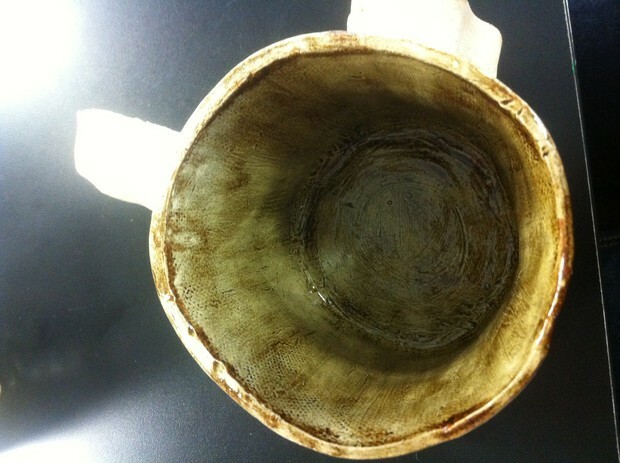 This is the inside of my mug. 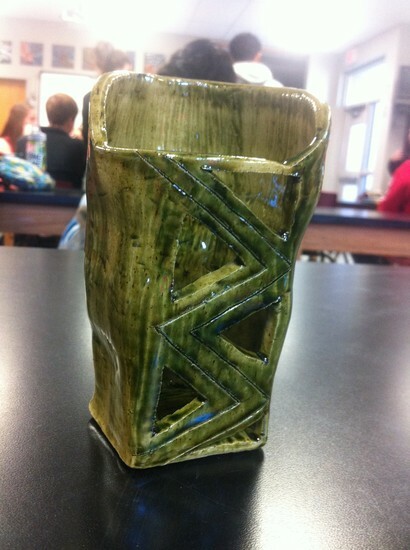 I made my pot the way i did because it reminds my of an African tribe. I enjoy tribal looking items. It also reminds me of th organization I am with call Invisible Children. I also want to travel to Africa and my pot is just a reminder. This man is showing a slave. He looks depressed. There is texture throughout his body. There is form because he is showing a figure and it is formed nicely. The texture is rough in the right places and smooth in the right places. He looks like a real human. This piece is asymettrical. 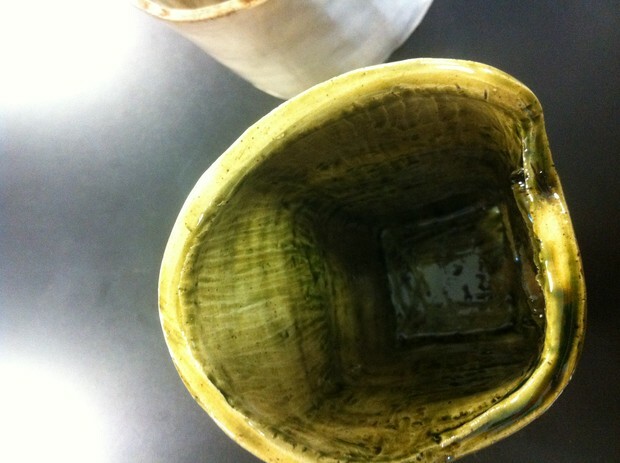 It has a rough looking texture and form that makes it look like a wave flowing from one side to the other. 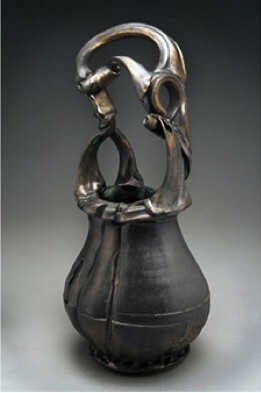 The proportion is well throughout the piece, makes it even on both sides of it. The Silver Spout is well done.